UPDATE | JetBlue, the largest carrier at Long Beach Airport, will give up 10 of its 34 flight spots after the city threatened action over the fact that JetBlue is not using them. In a statement late Tuesday, City Manager Pat West said the city will immediately make those flight spots available to other carriers, including Hawaiian Airlines (which would get first priority), followed by Delta and Southwest. “We expect very strong demand from airlines currently operating at Long Beach Airport for each of the 10 flight spots that were made available today,” he wrote. Each carrier on the waiting list will be offered one slot, and the process will repeat in turn from top to bottom until all slots are allocated or until demand is satisfied, West said. JetBlue and the city have been clashing since the airline asked to build an international terminal in 2017, which the city denied. The two have also squabbled over late night flight violations since then. Roughly four million passengers flew out of LGB last year. JetBlue may be facing penalties from the Long Beach Airport—including the possible reduction of unused flight slots—after a recent memo from the city manager revealed the airline was “not on pace” to meet new rules that went into effect Jan. 1. The new rules require airlines to use at least 85 percent of their daily flight slots during a calendar year, with the monthly use minimum at 60 percent and the quarterly use minimum at 70 percent. When the new rules were being considered, JetBlue called the changes “discriminatory,” saying they were aimed squarely at them, but the city said it was to ensure airlines are not “slot squatting” to keep competitors from entering the airport or being awarded more slots. 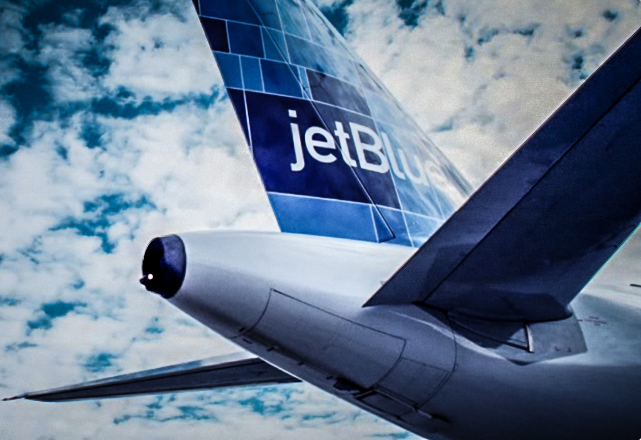 In an April 3 memo by City Manager Pat West addressed to the City Council and mayor, JetBlue was identified as not being on pace to meet the minimum use requirement of 70 percent for the first calendar quarter of 2019. If any permanent flight slots become available, Hawaiian Airlines would be first in line to receive those slots, followed by Delta, JetBlue and Southwest. If any supplemental flight slots become available, Delta would get first dibs, followed by JetBlue, Southwest and Hawaiian. A separate letter was also sent to JetBlue by Claudia Lewis, the airport’s interim director, informing the operator of the amendments and penalties as well as requesting information on how the company planned to comply with the requirements. It is unclear which penalties will be implemented or how soon. Long Beach Airport officials directed questions to the city manager’s office, which did not immediately respond to a request for comment.